Our professional technicians at Oakville Appliance Repair provide expert Jenn Air fridge repair and maintenance services for home and business owners in the Oakville area. We offer 24/7 same-day emergency service, call us to schedule an appointment. 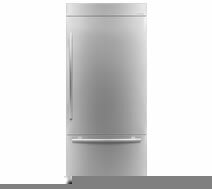 A bottom or top mount refrigerator is a fridge that has the freezer area on the bottom or more traditional top freezer. This style of fridge has become very popular over the last few years and is quickly becoming the standard. Jenn-Air bottom and top freezer fridges come as built-in or freestanding models and include a variety of exceptional and handy features including the option for an ice maker and water dispenser. Jenn-Air Ice Makers are designed to produce smaller, square shaped ice rather than the longer, more tube like ice that is normally produced by ice makers. 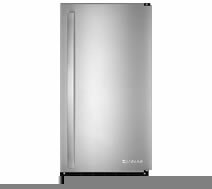 They are a great addition to any home for those who need, or just love, ice and are an option if you did not want an ice maker taking up any room within your refrigerator.